Casey is 5 months in his picture & Jonathan is 4 1/2 months. 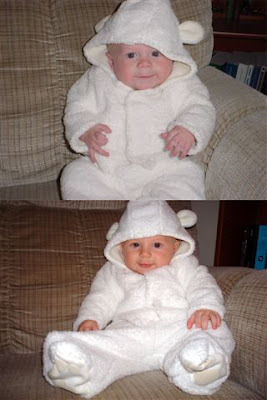 I love this bear outfit. If it were cold enough I'd make him wear it for real!